View More In Game Processing Axes, Saws & Kits - Page 4. 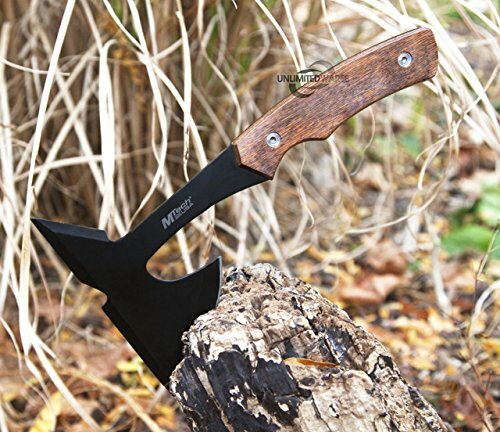 This tactical throwing axe will be the perfect addition to your gear bag. It is 9" overall, making it ideal for both throwing and chopping situations. The full tang design is constructed from high quality stainless steel and authentic pakkawood. It is aesthetically pleasing, and extremely useful. Lastly, to make carrying both simple and safe, this axe comes complete with a durable nylon sheath. If you have any questions about this product by SairusPlay, contact us by completing and submitting the form below. If you are looking for a specif part number, please include it with your message.